Hedge Fund regulations to attract FDI - Integration Through Media ....! KATHMANDU: The Government has introduced the ‘Hedge Fund regulations, 2075 B.S. 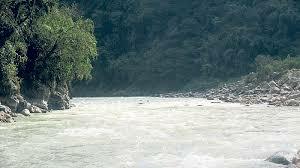 in order to attract foreign direct investment in the hydropower sector. According to Minister Banskota, the government has approved the ‘privat house re-construction grant distribution (second amendment) procedures, 2075, the Madan Bhandari Science and Technology University Infrastructure Development Committee (formation) order, 2075 and the formation order relating to survey of land in the name of the Korala Customs Office in Mustang district, 2075. Also, the government consented to tabling of the bill designed to provide for federal financial procedures and financial accountability in the federal parliament. Likewise, the meeting decided to provide 75 percent of compensation amount to those whose all lands have been occupied by the East-West railway, and 66 percent to those who have lost some of the lands. Those who houses, huts and walls have been destroyed for the project will also receive compensation amount.